This high quality solar suit offers your small dog 30+ UPF to protect from the suns damaging rays. Athletic fabrics will keep your dog cool as well as protected. Easy care wash and hang dry. 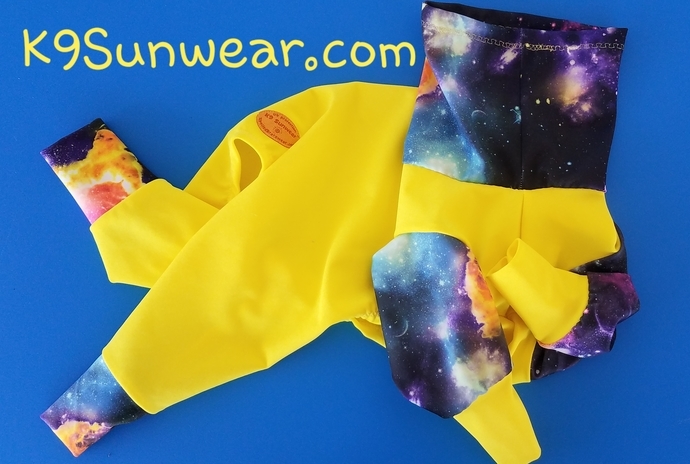 Bright yellow is accented with the galaxy space print.